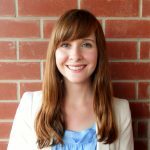 Rae Morris is a PhD student in the School of Social Work at UBC. Her research and clinical practice is focused on the mental health and well-being of individuals with autism and their families and communities. Rae is working with the CIC on a project exploring social capital experiences of individuals with intellectual and developmental disabilities involved in Vela Canada Microboards.